Thank you for choosing TLC for your window cleaning, pressure washing, pressure cleaning needs. We are the company to help keep your property beautiful, clean, and restored. At TLC Window Solutions, you have found professional and friendly team to provide you with Window Cleaning, WINDOW WASHING, PRESSURE WASHING, Power Washing, Roof Cleaning, Soft Washing Services, Gutter Cleaning, Siding Cleaning, Concrete Cleaning, Commercial Cleaning and much more! We have taken WINDOW CLEANING, window washing, pressure washing, POWER WASHING, roof cleaning, Siding Cleaning and other services to a higher standard of clean and customer satisfaction. Knowledge of the cleaning process and years of hands on experience is needed to make sure you are receiving the greatest results possible in the safest manor possible, which as a result, give you the longest lasting effects. The dedication and accountability we offer is evident in several ways. When a project is finished, we make sure our client is completely satisfied. Our client’s satisfaction is guaranteed with every project we complete. Our dedication to the window cleaning and pressure washing services we perform are the highest possible. We are always looking for better ways to create a cleaner environment. We bring properties BACK TO LIFE, making it more enjoyable for you and of course, a brand new looking home or business for lasting satisfaction. Window Cleaning Residential: Do you have a home in need of window cleaning? Are you looking to make your life easier, home more enjoyable, and spend less time on the maintenance of it? Do you prefer a company which is trust worthy and family focused? We have many years of experience on all types of property and glass. No job is too big, small, or unique. From brand new modern to historic rustic, we have cleaned them all. Our equipment is up to date and capable to handle any window cleaning you may need. We have cleaning options for any need and budget. 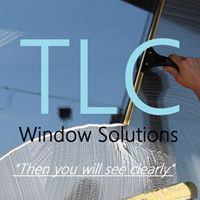 We at TLC offer residential window washing in northwest Ohio and northeast Indiana. Most residential homes can be cleaned by hand. Larger homes may need a standard pole. Some homes, however, may need the use of deionized water-fed equipment. Whatever your need is, we have the solutions. Call today to receive a free estimate. Window Cleaning Commercial: With our mid-west weather dirty windows are the norm. Commercial window cleaning is a must. Whether multi-story office complex or small 2 window store front downtown we can keep your windows sparkling clean. Businesses use our window cleaning service on routine schedules to restore the windows to their shine, add confidence for the staff, and pleasure of the clients whom they service. Our cleaning methods are completed in a safe, timely, consistant manner for all sizes of tasks. We have the experience, equipment, and methods to preform the work in a manner which does not interupt your business flow. It doesnt matter if you're having windows cleaned for the first time, would like to replace whom you're not satisfied with, want an estimate to make sure you're currently paying a fair price, or have general construction clean-up needs on new construction, we would love the opportunity to earn your business. Please call for a free consultation to see how you can save time and money. Soft Washing/ Pressure Washing: We offer pressure washing and soft washing on all types of residential and commercial properties including restaurants, banks, storefronts, etc. Cleaning dirty walkways, dumpster bays, roofs, is common to us as well as roofs, patios, concrete, decks, garages, fences, and WE LOVE CLEANING SIDING! Removal of moss, algae, mold, mildew, etc. Our services include everything from general maintenance/cleaning, to specialized cleaning and paint stripping. We have the solutions to your cleaning needs. Our equipment can handle any type of service and handle to job without damaging any landscaping. High pressure is not always the best option for cleaning. Another option is low pressure cleaning with cleaning agents. If you have it outside, WE CAN CLEAN IT. Call today to find out how easy and cost effective it is to see the mold or algae or black spots removed today.